In 1954, young Architects, Dan Palmer & William Krisel designed their first major housing development, Corbin Palms, for developer George Alexander. Having refined a modular, partially prefabricated building system, they were able to quickly and inexpensively erect the clean, modern, forward-thinking designs that young post-war couples were wanting. 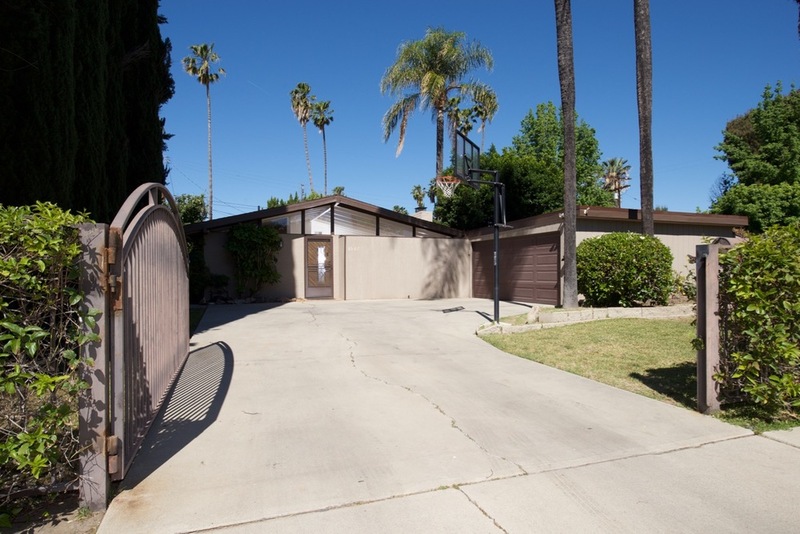 The success of this tract in Woodland Hills led to a long relationship with George Alexander, designing homes in Palm Springs and the surrounding areas, as well as countless homes in the Los Angeles, San Diego, and Orange County areas. Corbin Palms Home / Palmer & Krisel, Architects. 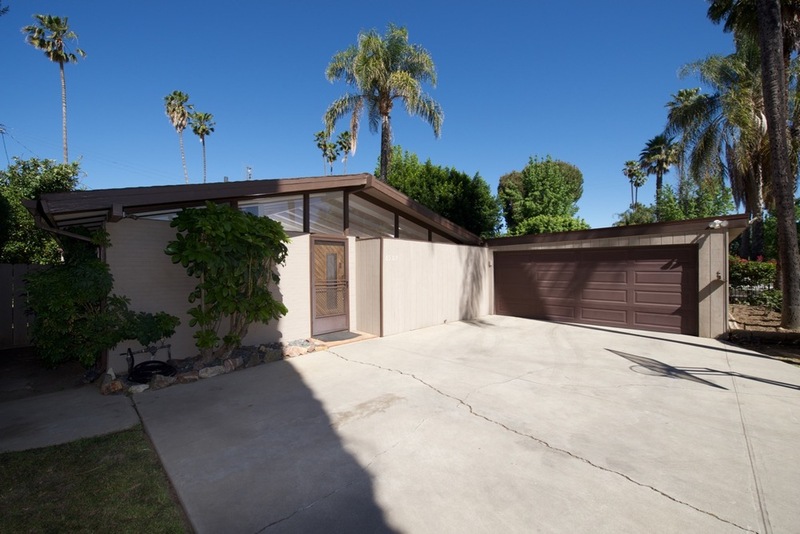 In the original phase of the Corbin Palms development, this Mid-Century Modern post & beam home combines modern amenities with original detail. Once a 4 bedroom model, the fourth bedroom was opened to the kitchen, to become a spacious dining room. 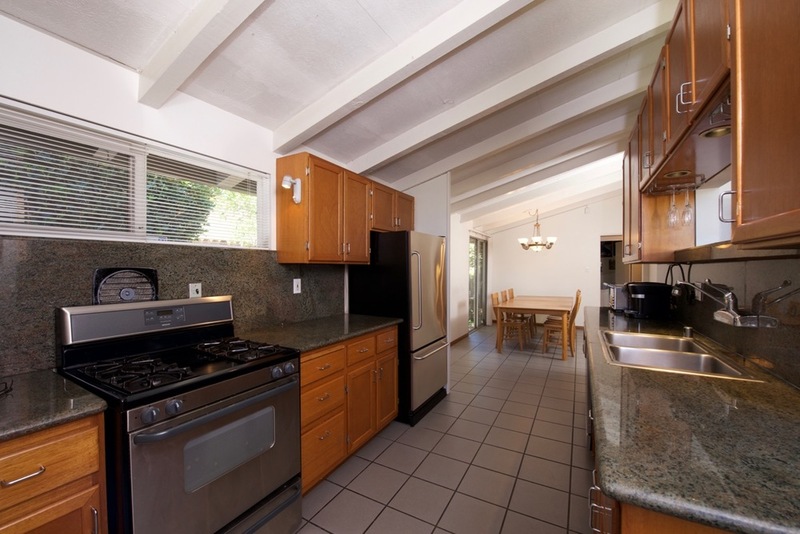 The kitchen was updated with contemporary cabinetry, stone countertops, and stainless appliances. 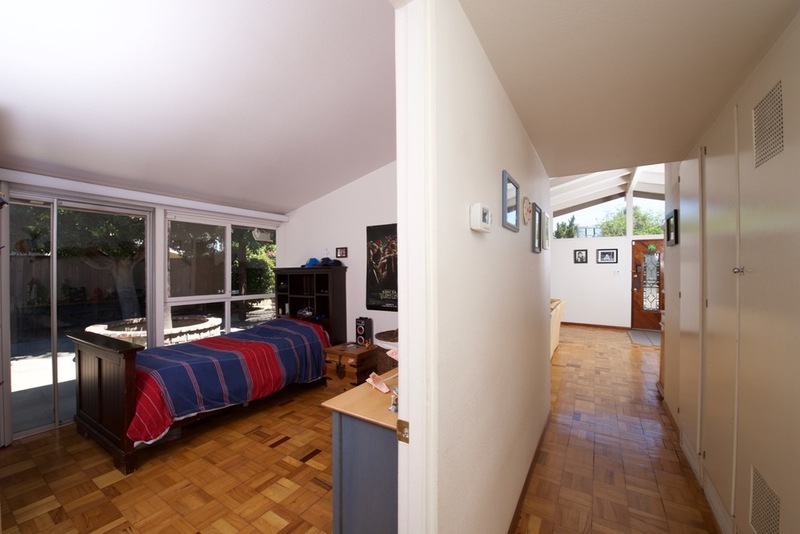 Original wood parquet floors remain throughout most of the home, as well as a large, period brick fireplace. Open beam ceilings give a feeling of spaciousness. Glass gables, and floor to ceiling windows in most rooms provide an abundance of natural light and connect the home to the lush, gated grounds with shaded patio, pool, and spa. 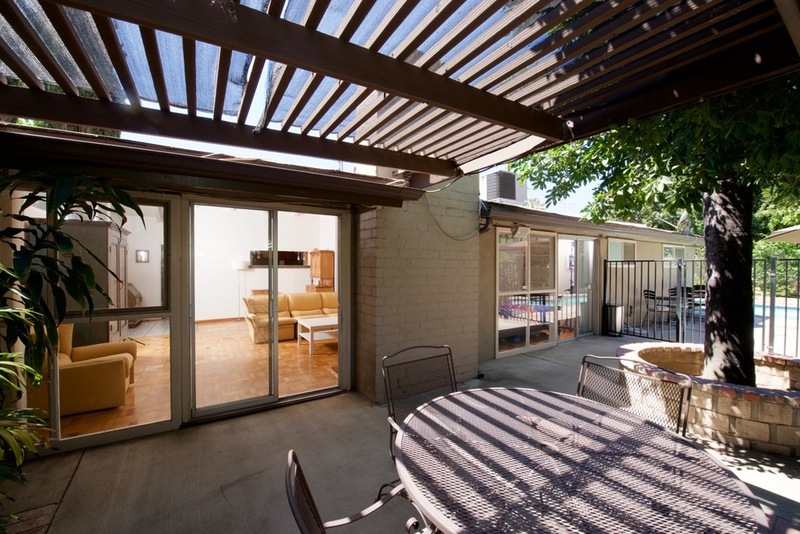 These homes are highly sought after for the ease of living and quality of life that they provide, even 60 years later. This example is ready to be taken further into contemporary 21st century, or dialed back to its mid-century beginning.